On June 9, 1992, London, Ontario’s board of education held a meeting of its Program Standings Committee. 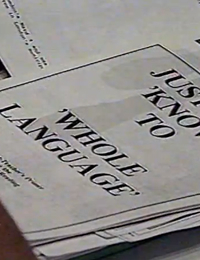 There was concern in the community over the ineffectiveness of use of the “whole language” method, which was being used to teach children to read in London Schools. 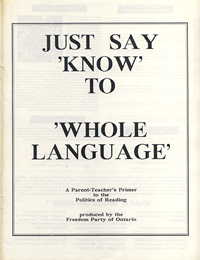 Freedom Party had published a guide titled “Just Say Know to Whole Language”, which informed area parents of the philosophy and purposes behind using the Whole Language approach. The community was rightly alarmed. 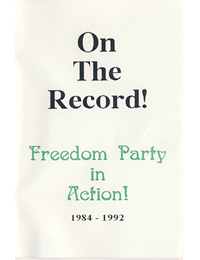 At the board hearing, Freedom Party president Robert Metz did a presentation based upon FP’s guide, and it landed him in the middle of a news report on CFPL TV in London that day. 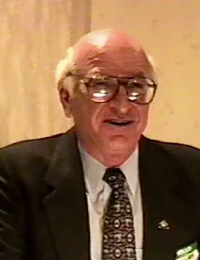 Metz’s presentation was just one of dozens of anti-“whole language” presentations made to the London Board of Education by parents and educators. In his presentation Metz offered a solution to the education dilemma: parental and taxpayer choice in how their education tax dollars are spent.